If you are a business or organization that lacks project management, then you likely have seen project failure at least once. If you’re embarrassed by it, know you aren’t alone. In fact, according to Gallup, only 25 percent of companies successfully complete 100 percent of their projects. 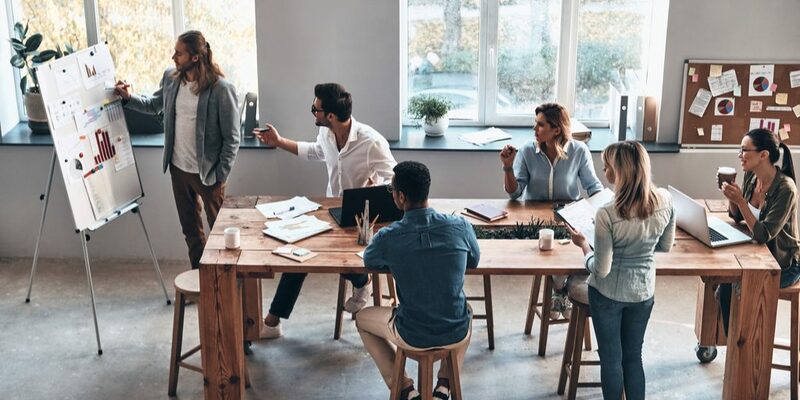 Companies that do invest in staffing project management resources or a Project Management Office (PMO) still find it challenging to streamline work processes and ensure that projects are completed efficiently and without sacrificing quality. Here at Rindle, we’ve written and shared many blogs on how a visual workflow and technological solutions and software can help teams get organized and better manage their projects. However, we also understand that not every business and organization will benefit from using a whiteboard to manage a visual workflow and using software. So, how do know which is best for your team? 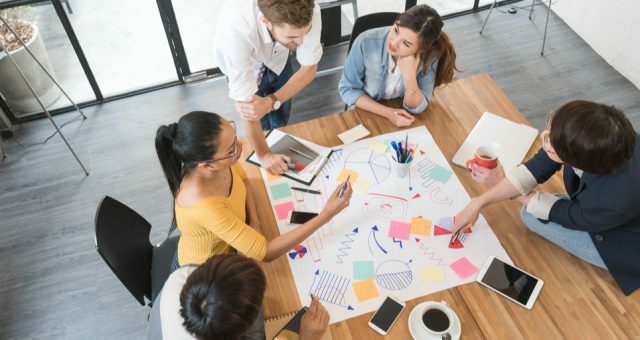 In this article, we will look at some of the pros and cons of using a whiteboard for a visual workflow and using project management software to help you make the best decision about which project management methodology is right for your team and your business. What is a Visual Workflow? Before diving into the pros and cons of a visual workflow versus software, let’s first review what a visual workflow is and how it is built. A visual workflow is an agile project management technique that can be easily adapted by any organization and implemented in any project. One of the key characteristics of a visual workflow is that it’s visual. It provides a top-level view of all the steps involved in a particular task or process. It is easy to learn, adopt, and implement. Building a visual workflow foundation can take anywhere from several days up to several weeks to implement, rather than weeks or even months like some other methodologies or software. Who is a Visual Workflow For? Now, that you understand more about what a visual workflow is, how do you know if it’s the best solution for your team? You can’t get your team organized. You struggle with getting your team to adopt one process or methodology. You are looking for a simple process. You want to easily check project status. You need a solid foundation to build on. Many teams can benefit from following a visual workflow. In fact, creative and development teams benefit most from it because it is visual. Project team members can easily see what team member is working on as well as the status of each task. 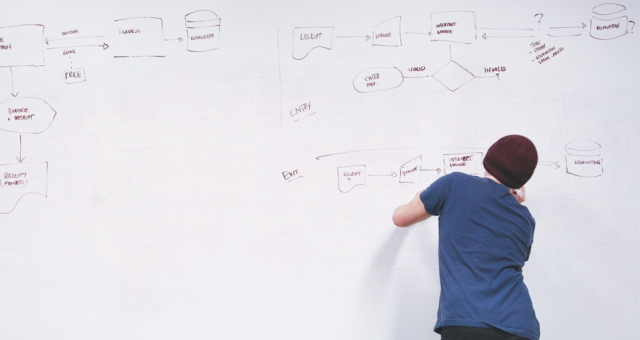 Using a whiteboard is best for in-house teams that frequently collaborate. Drawing up a visual workflow and updating tasks on a whiteboard during weekly or daily “stand up” meetings will help keep your entire project team on the same page. Creating a visual workflow requires very little in the way of equipment: a huddle room or conference room, a whiteboard, dry erase markers, and sticky notes. A whiteboard has been a simple yet powerful brainstorming tool used for decades. It is a great way to sketch out ideas and solutions. When comparing the cost of a whiteboard to software, a whiteboard is clearly the most cost-efficient resource to manage your visual workflow. Sure, it is a fixed cost upfront to purchase one, but it is a tool that you will use time and time again. A visual workflow presented on a whiteboard shows the distribution and progress of tasks, but it doesn’t show a timeline. For teams or projects that require a complex timeline, it may be best to use software or a different project management methodology. A whiteboard is obviously a fixed object, so project staff and team members can’t exactly access it remotely. 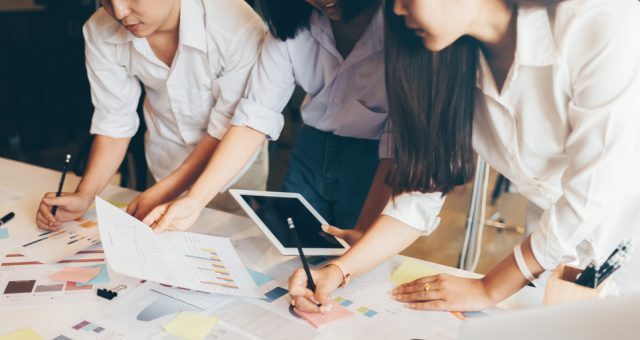 Sure, a team member can take pictures of a whiteboard and share them with the rest of the team, however, by that time, the task progression might already be outdated. Again, because a whiteboard is a fixed object, it obviously doesn’t have the robust functionality that a project manager would find when using project management software. 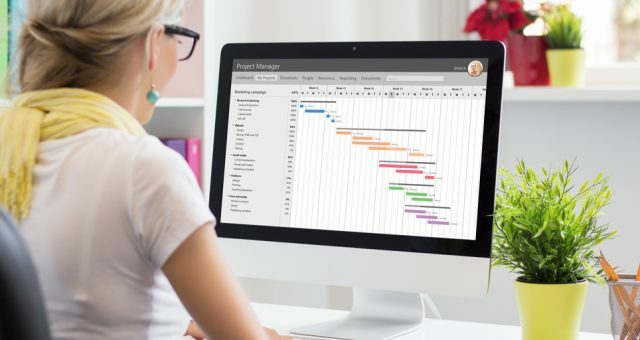 If you and your project team need real-time task and project updates, reporting, and other collaboration tools, then visual workflow software is probably a better fit. There are a handful of project management tools out there designed to help teams build and manage visual workflows. And with an increased focus on adopting agile project management methodologies, more and more project management tools are designing “kanban”, or visual workflow features. Trello, Asana, and of course, Rindle are good examples of project management software that has built-in functionalities that support a visual workflow. One of the key benefits of using software is the increased availability and accessibility. Team members can access their projects and tasks from anywhere in the world, and from any device. No physical materials or resources. Other than the software itself, which is likely web-based, no physical materials or resources are required. For small businesses that are 100 percent remote, or don’t have a physical location, software is likely the better way to go. Because all necessary files, documents, and conversations are stored in the software, organization immediately becomes easier. Project management software provides real-time task and project status updates. In fact, depending on the software you choose, project team members that are “following” a particular project will receive notifications when a task or project has a change in status, when a comment is posted, or when a document is shared. Sure, there are a number of benefits to using visual workflow software to help you and your team manage projects. However, in many cases, businesses struggle with finding a one-size-fits-all application that does everything they need it to do. Applications and tools are great, but most of them come with a cost, especially if your team needs advanced features, such as third-party app integrations and advanced reporting. This might come as a surprise, but one of the primary reasons why software fails is due to a lack of organizational and/or team adoption. If the organization as a whole or all team members don’t commit to using the software or learning it, then it will not benefit the organization the way that it should. Training and breaking the learning curve. Of course, some project management applications and software are easier to learn than others. However, project management and organizational processes are often built around using the software; therefore, some training is still required. It can require significant implementation time and resources. Again, depending on the type of software, it can require significant time and resources for your organization’s IT team to implement. The software isn’t the project manager! Another all-too-common mistake is that many businesses make the mistake of investing and implementing software, and assuming that it will be sufficient to manage the project. Yes, software can help project managers and teams stay organized and on task, and even automate repetitive tasks; however, the software is not the project manager. Project management still requires human involvement and participation to deliver successful project outcomes. There are many different project management methodologies (PMMs) to help manage projects. We are huge believers of the visual workflow for the reasons and benefits we mentioned above. Regardless of whether you believe that using a whiteboard or software is best for managing your visual workflow, it’s important to remember that every project is unique in its own way; therefore, project managers should consider the types of projects in which they manage and determine the best workflow that will fit those projects—not the other way around. If you are gravitating towards adopting visual workflow software, then give Rindle a try today.